America's public lands include millions of acres of forests, mountains and rivers. These places enable outdoor pursuits precious to many of us: camping under a blanket of stars, hiking through wildflower meadows, paddling through clear waters, or the chance to reconnect with family and friends away from the noise of everyday life. Permanently protected public lands distinguish America from the rest of the world and support a vibrant outdoor recreation economy and millions of jobs. These places belong to all of us. An aggressive campaign to transfer public lands to state control threatens hundreds of millions of acres of national forests, rangelands, wildlife refuges, wilderness areas and historic sites. A handful of out-of-touch politicians backed by wealthy private interests are working to seize public lands, disposing them to state governments or private entities to generate revenues. The public land heist threatens the landscapes we love and the notion that public lands belong to everyone. America’s craggy mountains, golden plains, and rivers belong to all of us, whether we live in New York or Montana, whether we visit these places weekly or hope that our children will someday see them. Imagine if the place where you love to hike, climb, paddle, ski, bike, fish, hunt, or camp were suddenly sold off for profit, or to cover the cost of a wildfire or drought. Once our mountains, forests, and rivers are gone, there’s no replacing them. Protect the public lands you love and make your voice heard. Note: Statistics for paddling, climbing, and mountain biking reflect recreation in the 11 western states threatened by land heist legislation (source: Outdoor Alliance GIS). 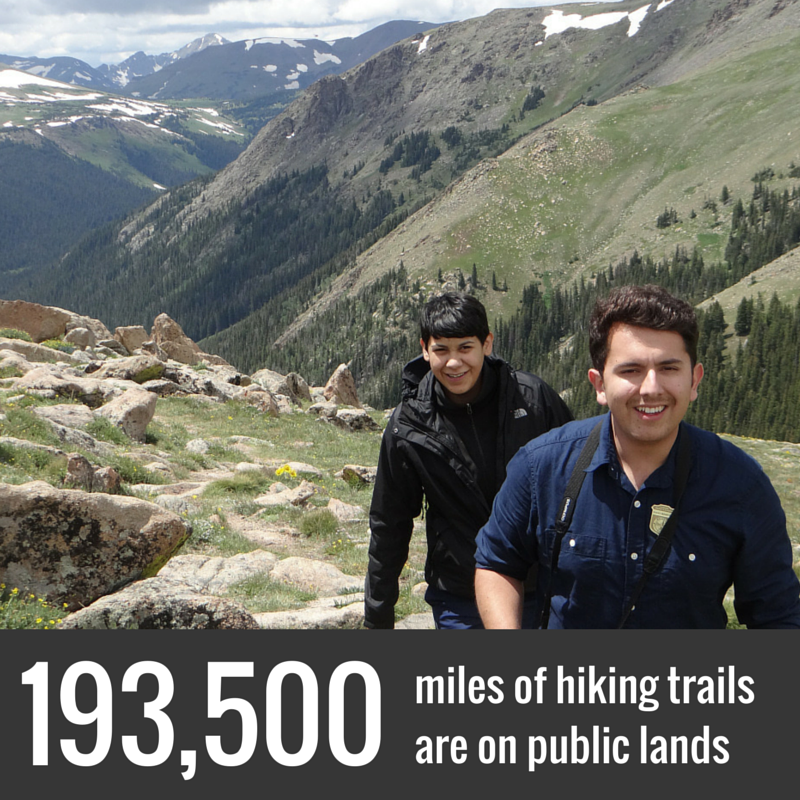 Hiking miles reflect the total miles of trails on national public lands (source: American Hiking Society).